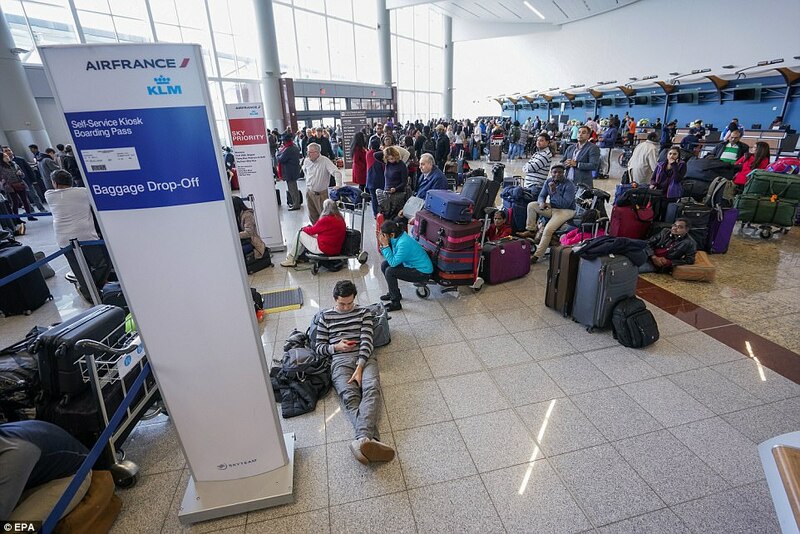 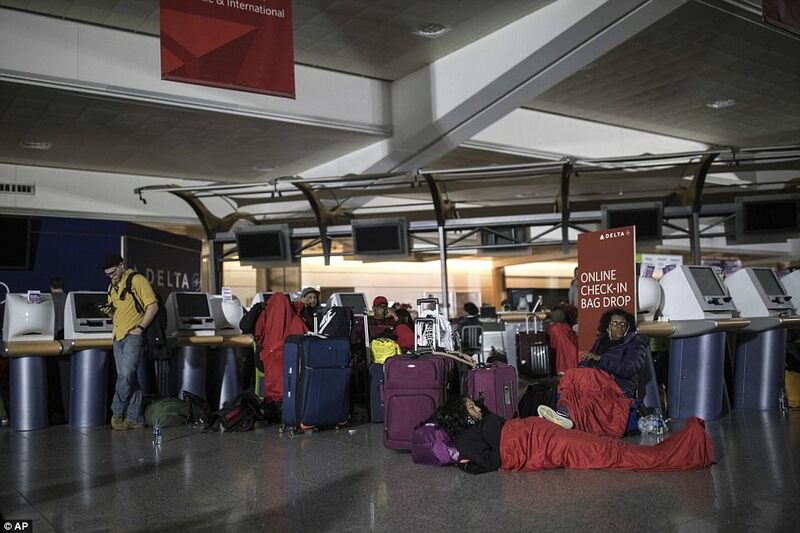 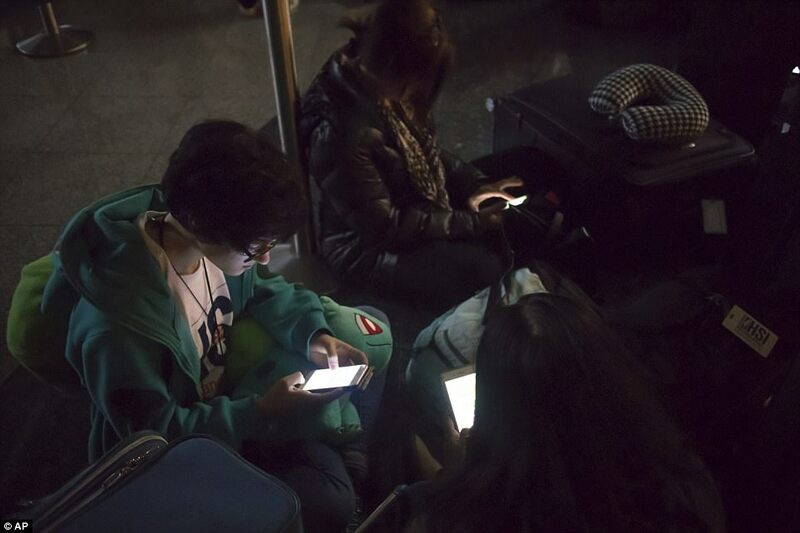 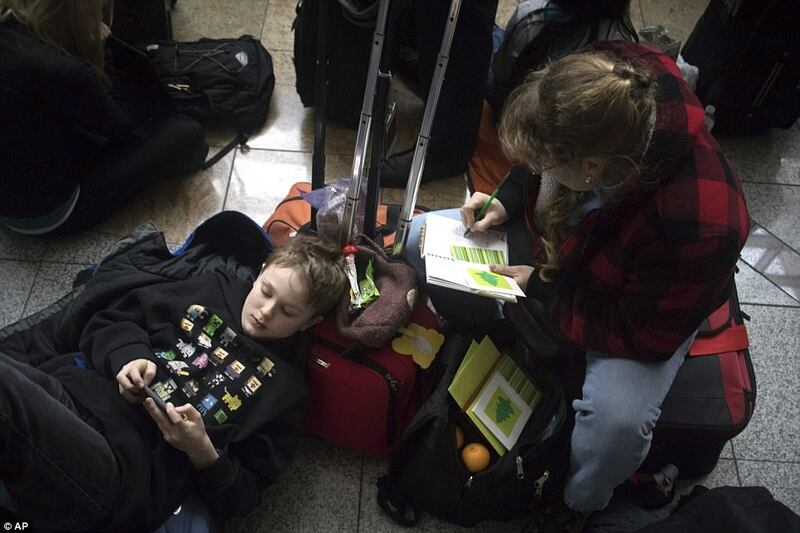 Home News Atlanta could face a WEEK of travel misery: World's busiest airport finally restores power after fire causes 11-hour blackout, cancels 1,200 flights and strands tens of thousands of passengers. 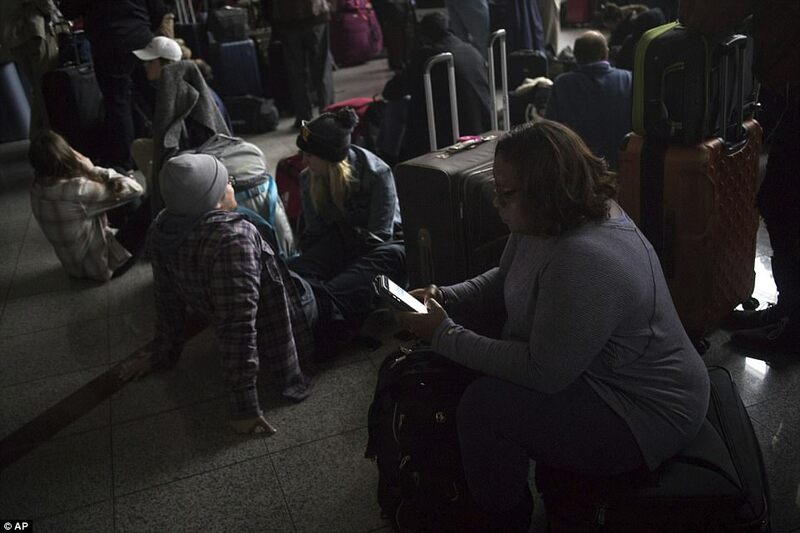 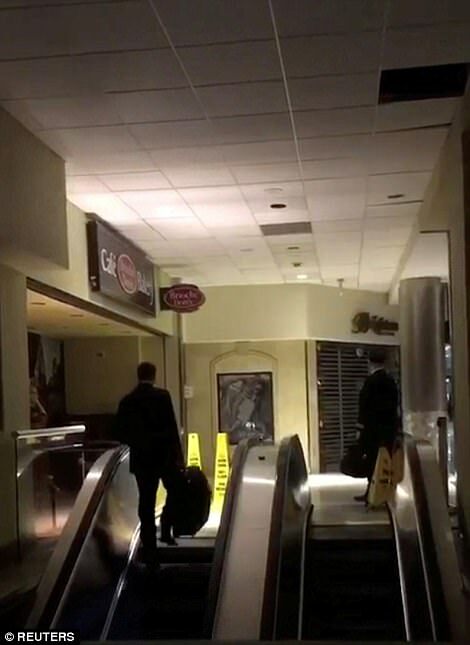 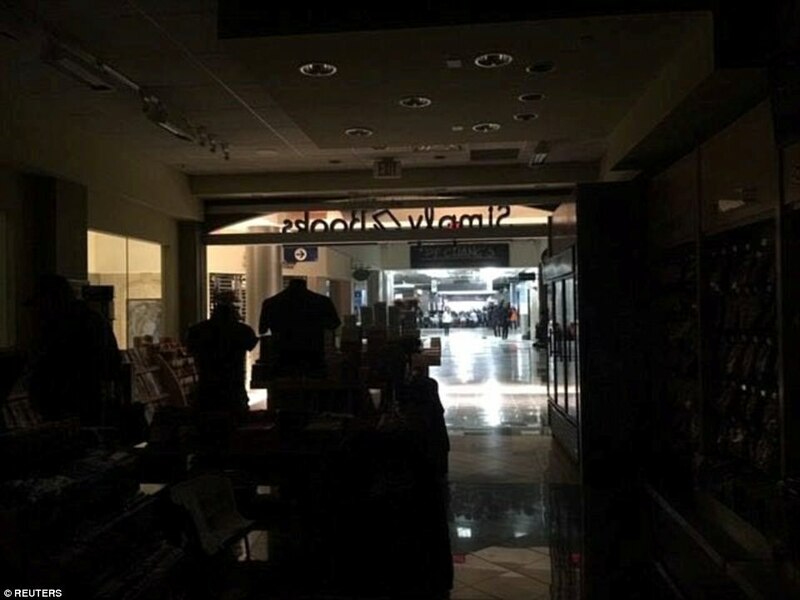 Atlanta could face a WEEK of travel misery: World's busiest airport finally restores power after fire causes 11-hour blackout, cancels 1,200 flights and strands tens of thousands of passengers. 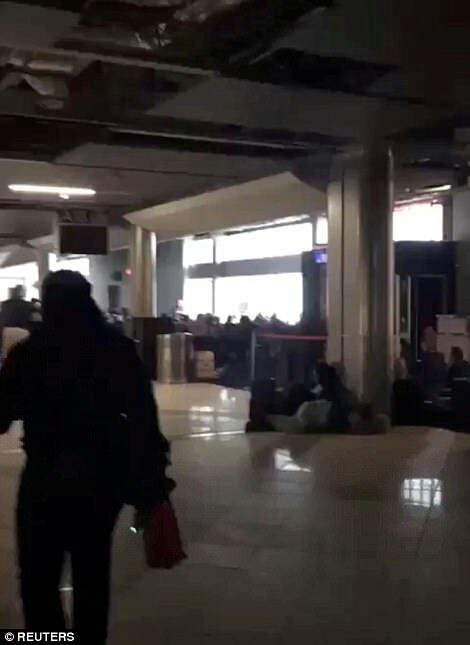 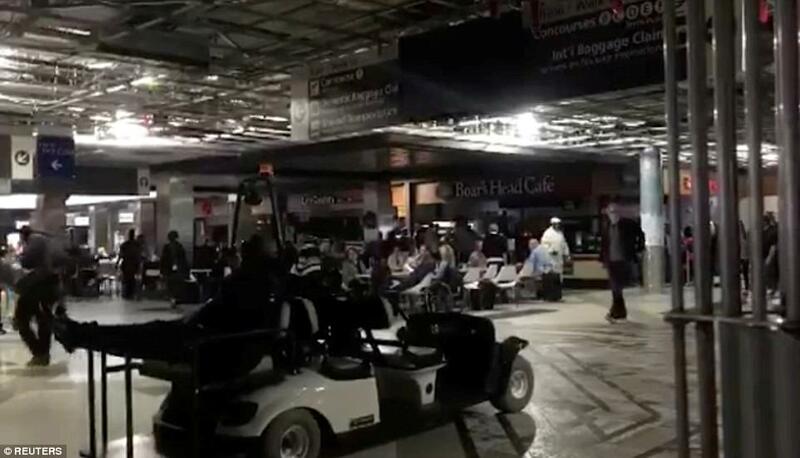 Power has been restored at Hartsfield-Jackson Atlanta International Airport after an outage caused by a fire led to more than 1,200 flights to be cancelled. 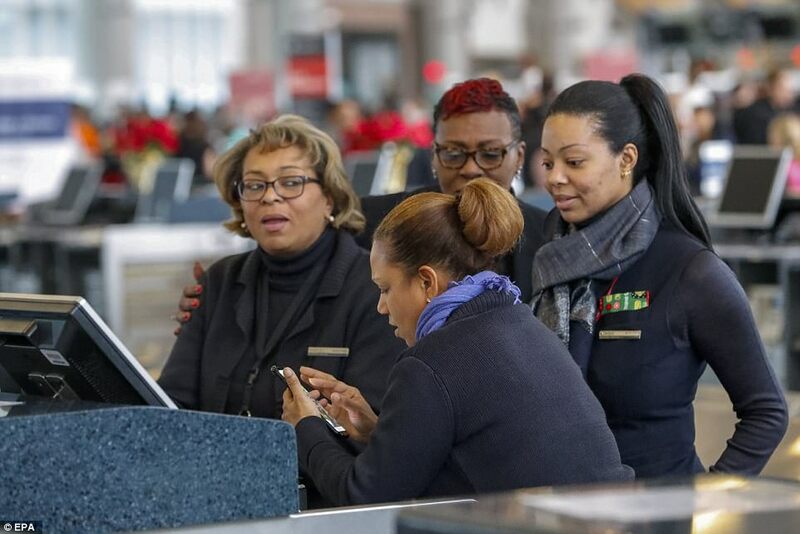 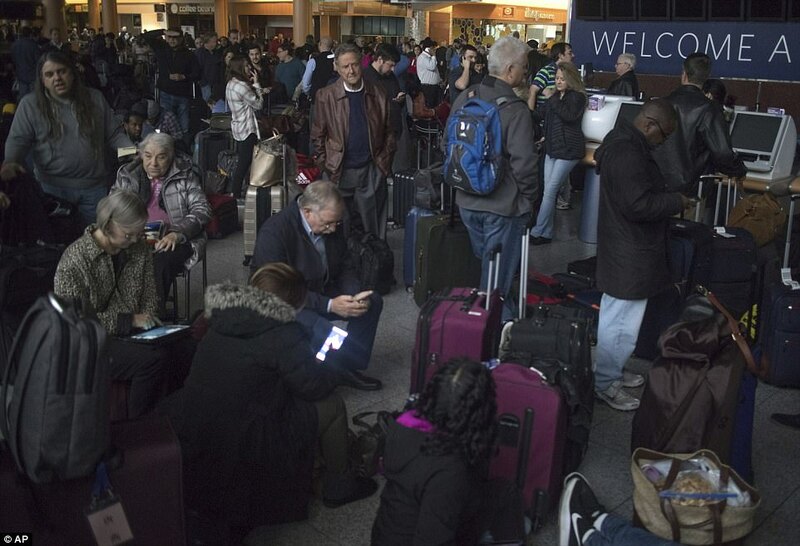 Even though power was finally restored at close to midnight Sunday, the incident continued to wreak havoc on holiday travel plans for thousands of people hit by airline cancellations extending into Monday and beyond. 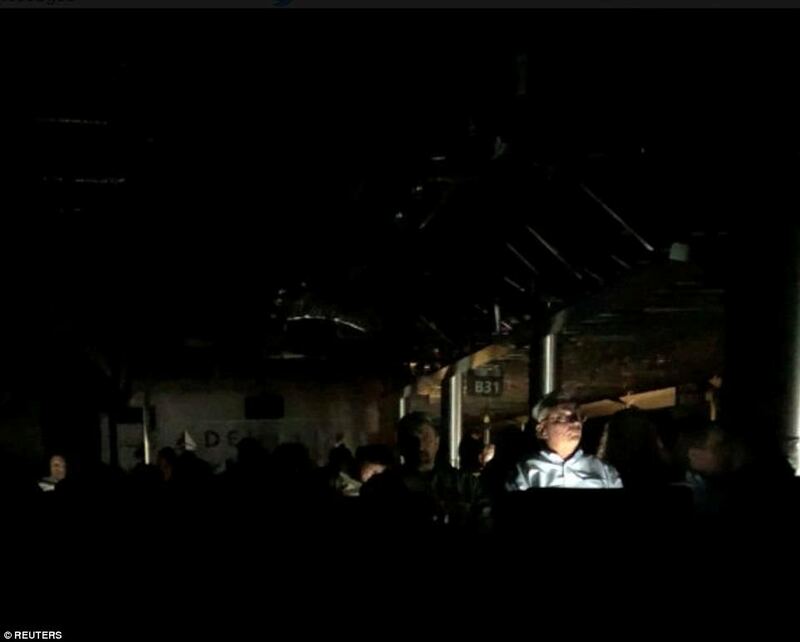 Georgia Power said it believes a failure of its equipment may have started the fire and in a written statement, the firm said: 'While evaluation of the incident is ongoing, Georgia Power believes that a piece of Georgia Power switchgear located in an underground electrical facility could have failed and started a fire. 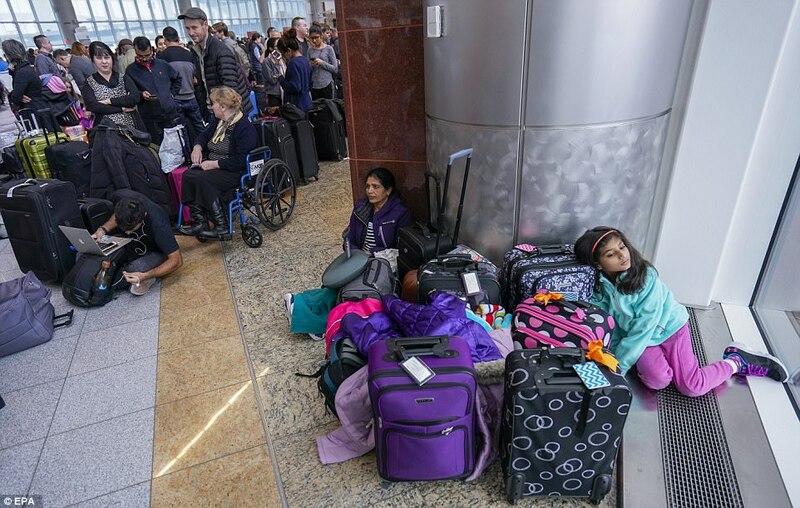 Hundreds of flights are currently cancelled and the backlog could mean travel chaos lasting up to a week as airlines claw back their postponed flights. 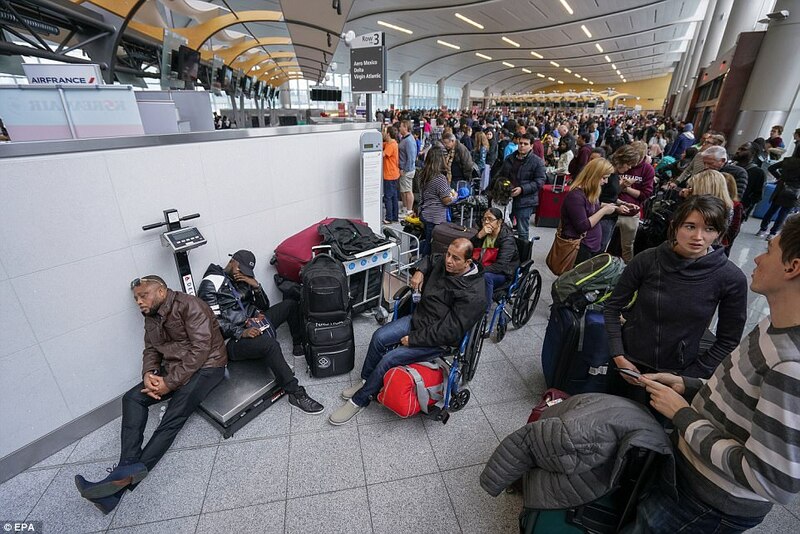 But on the airport's portal, swathes of flights from a range of airlines from Qantas to Virgin Atlantic were listed as cancelled with only a handful showing up as on time. 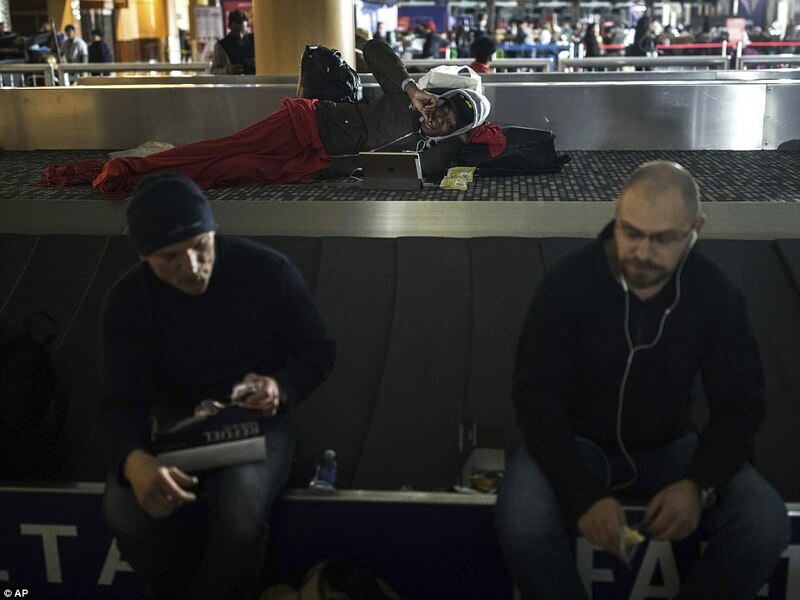 She said polDelta passenger Emilia Duca, 32, was on her way to Wisconsin from Bogota, Colombia, when she got stuck in Atlanta. 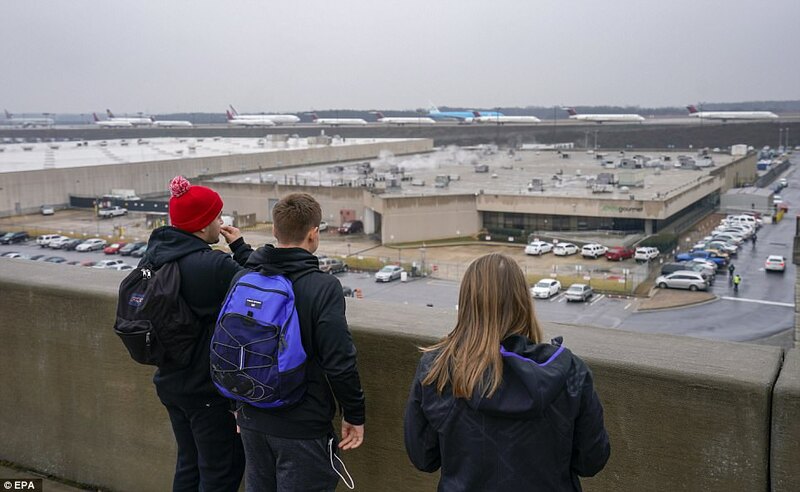 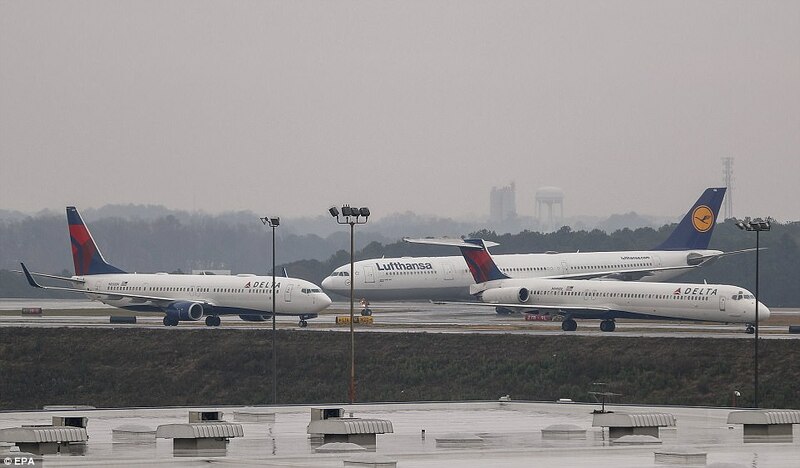 Departing international passengers look as planes wait on a taxiway after widespread power outage at Hartsfield-Jackson Atlanta International Airport.